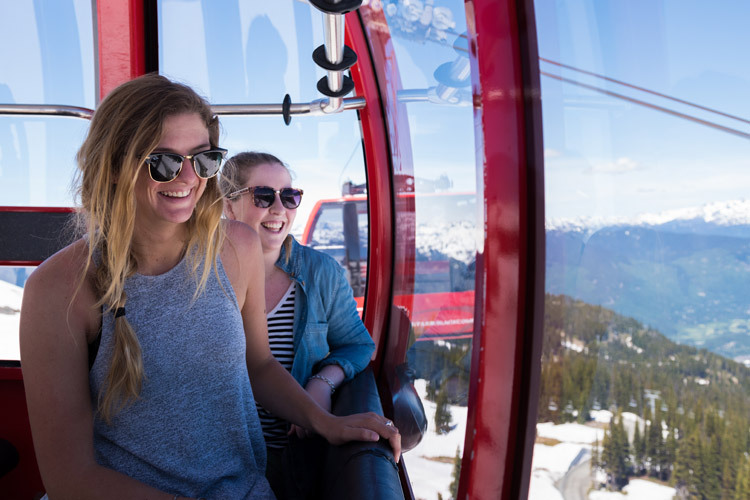 Part 1 in a series exploring the range of food tours in Whistler for those who love to explore new places via their tastebuds – stay tuned to The Whistler Insider for the next installment. All photos courtesy Dee Raffo. 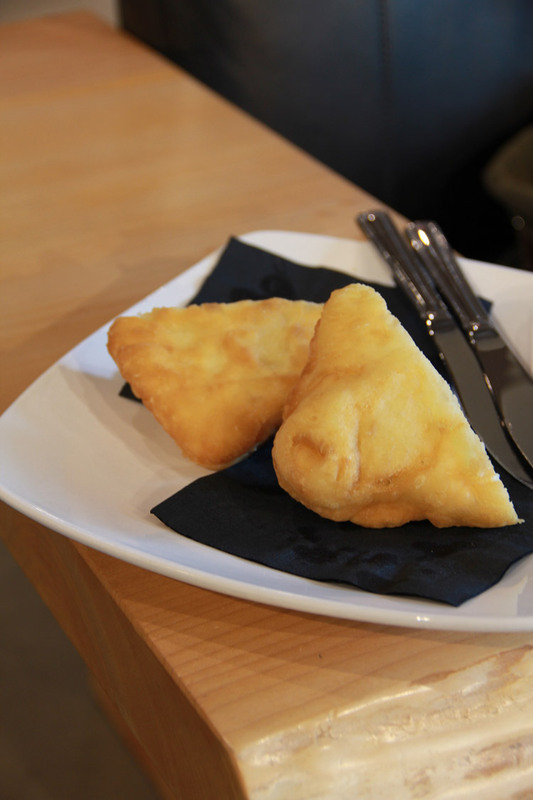 If you like your food with a side dish of good stories then Whistler Food Tours are for you. 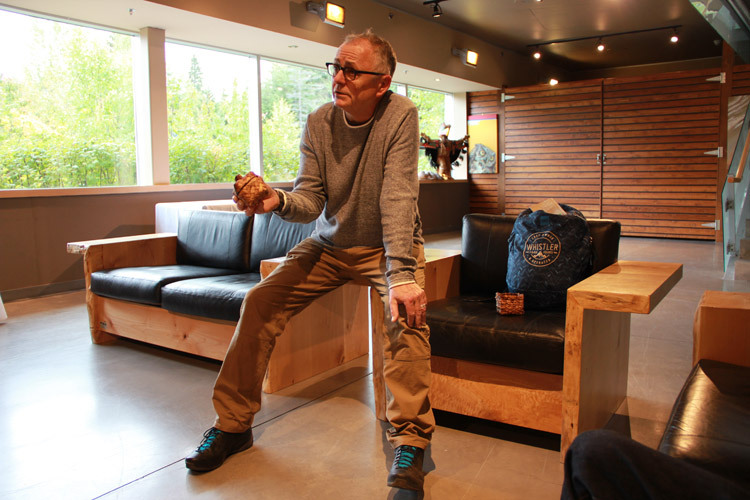 Philip Mitchell, a former restaurateur and chef, has been sharing his passion for West Coast cuisine with visitors to Whistler since late last year. 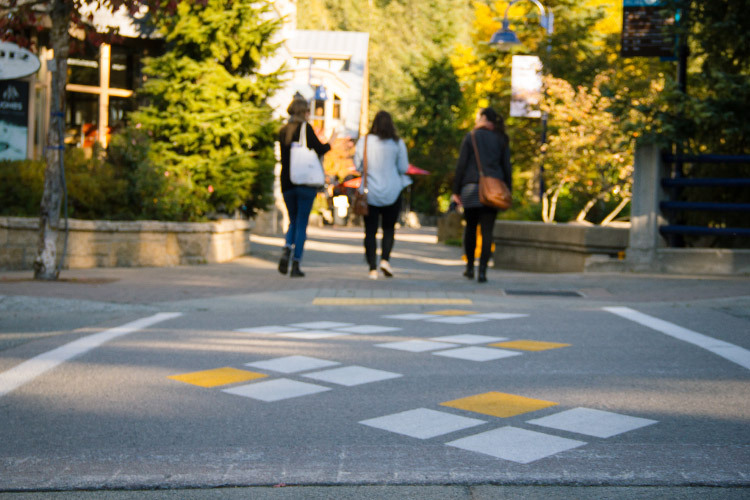 He’s got the mix of historical trivia, storytelling, and foodie fun down to an art as we weave our way around Whistler Village sampling everything from porchetta ciabatta to goats cheese brownies. 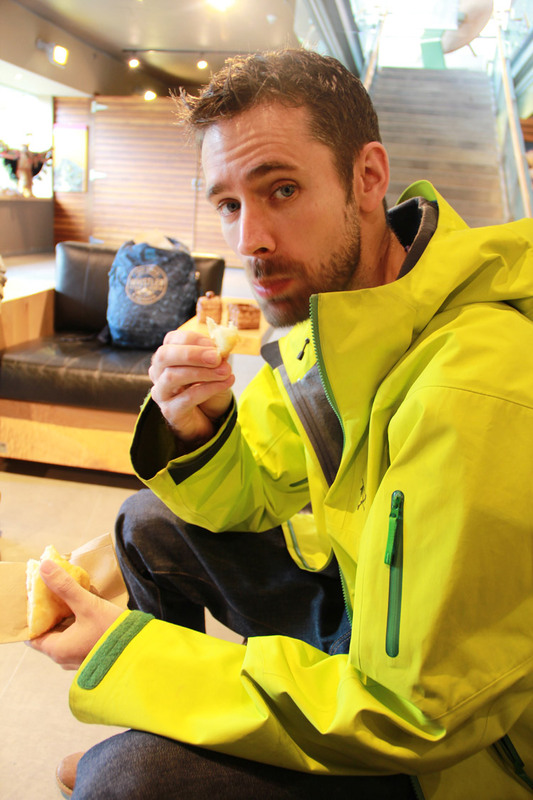 We meet Philip at the Squamish Lil’wat Cultural Centre, starting the tour with a tasty chunk of fried bannock bread. I must admit I’ve dipped this into the Thunderbird Cafe’s creamy salmon chowder many times, but I didn’t know anything about its history. Philip explained that the tasty treat we were devouring originally came from Scotland. Although the First Nations had their own plant-based version well before the Europeans came, they quickly adopted the wheat-based recipe as it was tasty, easy to pack, and lasted. 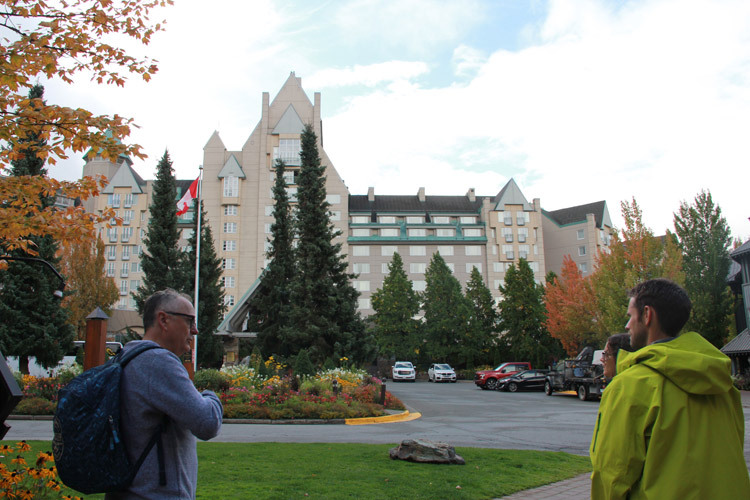 Heading outside we walk towards the Fairmont Chateau Whistler, but we take the scenic route passing by the glistening pools of the Four Seasons Resort Whistler and the steampowered clock at the Embarc Whistler resort. As we look up at the castle-like hotel Philip tells us a little-known fact. When the Canadian Pacific Railway was laid they built hotels to feed and house passengers along the way like Banff Springs, Royal York, and Chateau Frontenac. In 1999 they acquired the American-based Fairmont Hotels & Resorts chain and borrowed its famous name. 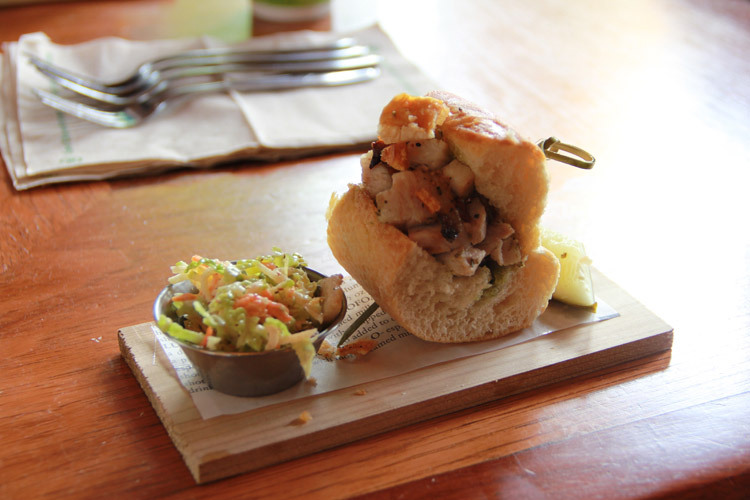 We’re served mini porchetta ciabatta with a side of coleslaw. Every other bite delivers a crunch of perfectly cooked crackling and we wash that down with a rich Belgian hot chocolate. It was so decadent I’m wondering how my stomach is going to make it round the rest of the tour. We head from the Upper Village towards the base of Whistler Mountain and Philip points out the PEAK 2 PEAK Gondola spanning the two mountains. 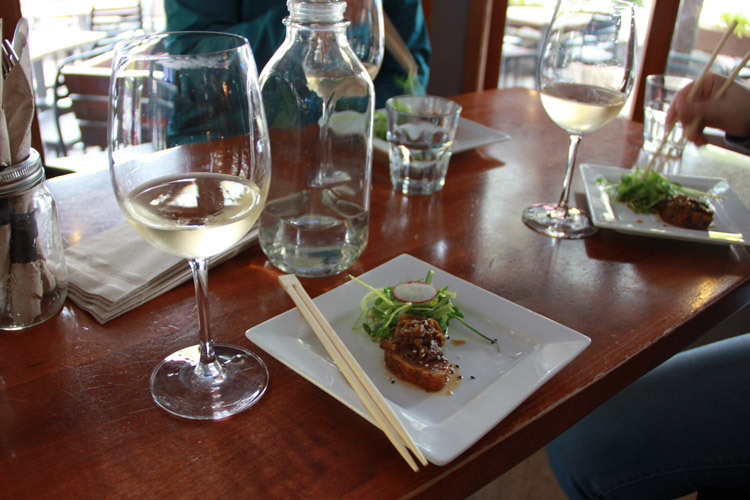 As meander down the main Village Stroll and Philip points out other places we might want to try – Basalt Wine & Salumeria for its charcuterie, the Bearfoot Bistro for Champagne sabering, and Bar Oso for their gin-tasting flights and tapas. 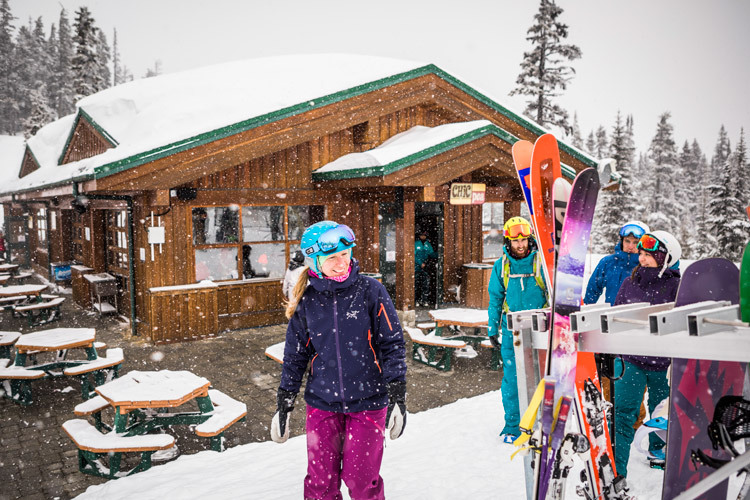 He explains how the village was built on a former landfill site, its multiple bids to host the Winter Games, and as the bikers fly down the mountain he chats about its transition to all-season resort. We continue our discussions as we head to the Beacon Pub & Eatery. Located on the corner of the Village Plaza it’s a great spot to people watch. They serve us a glass of Red Rooster Pinot Gris, which comes from the Naramata Bench in the Okanagan – B.C.’s wine region. It goes perfectly with the seared albacore tuna we’re served as Philip tells us more about B.C.’s growing wine scene. 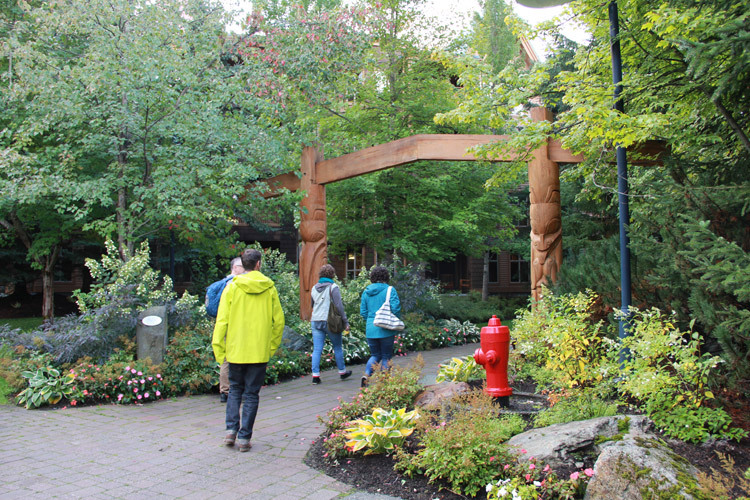 Whistler is known for it’s international flavours and Philip wanted to work that into his tour. Enamoured by the story of two local restaurateurs we’re back off down the Village Stroll to Main Street and Peaked Pies. 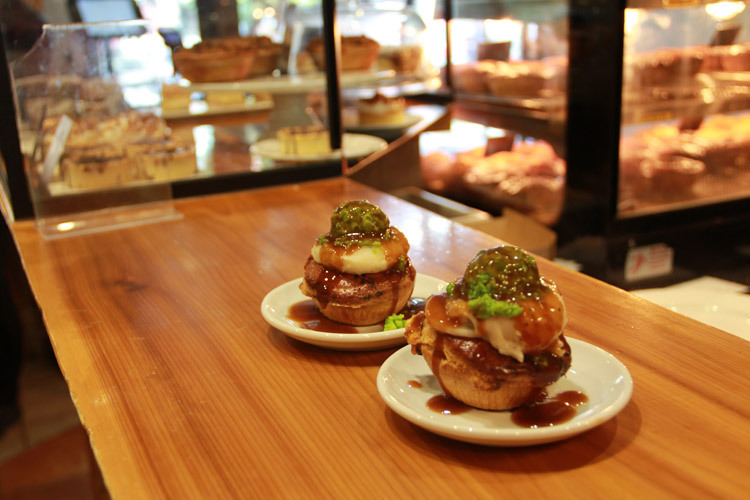 Bringing Australian comfort food to Whistler was the brainchild of Kerri Jones and Alex Relf and as we sample the ‘Mental Lentil’ Peaked Pie we can see why it’s been a roaring success. Topped with mushy peas, mashed potato and gravy the pies are simply delicious. From savoury to sweet, we continue our tour at purebread. 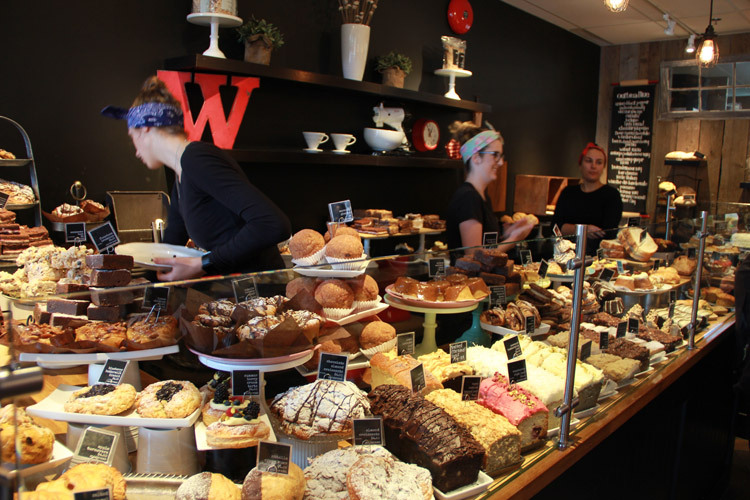 Philip tells us how he would pick up a sweet treat and his weekly bread from their stall at the farmer’s market and how their popularity and reputation grew so much they now have two Whistler stores and a newer one in Vancouver. We sample the goats cheese brownie and the aptly named ‘Crack’ bar, which is like a butter tart on steroids. 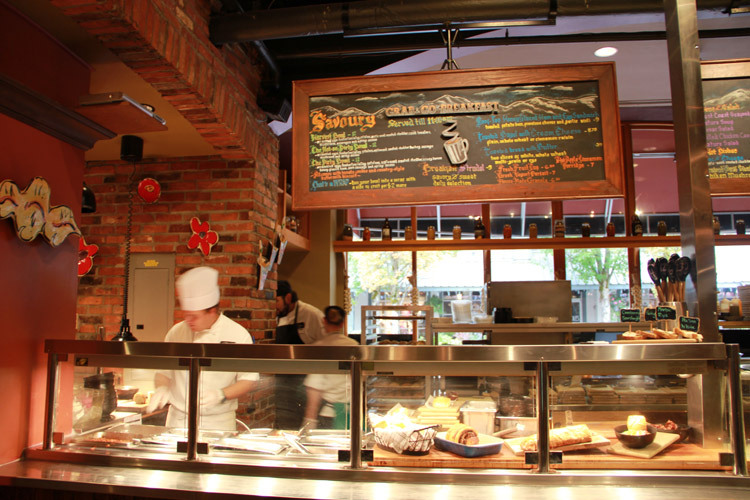 (Insider Tip: purebread’s second Whistler location is out in Function Junction). My stomach is close to bursting, but Philip persuades me that there’s just one more tasty treat I have to try – Roger’s Chocolates. 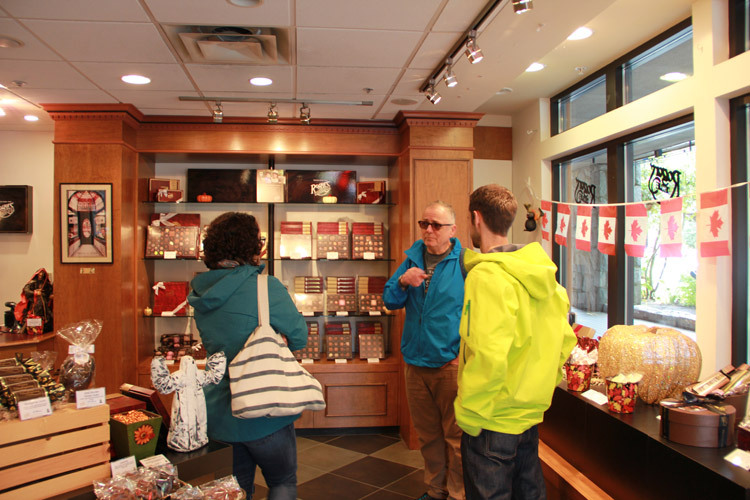 Canada’s first chocolatier set up a grocery shop in Victoria on Vancouver Island in 1885. He always sold out of chocolate so he decided to make his own rather than import it from San Francisco. His first creation was a Victoria Cream and that’s what Philip passes round. This one has a distinctly Canadian twist with the sweet taste of maple syrup. This is our last stop. My belly is nicely full, my head is swimming with fun facts and great recipes, and you could plan a whole week of activities on Philip’s suggestions. 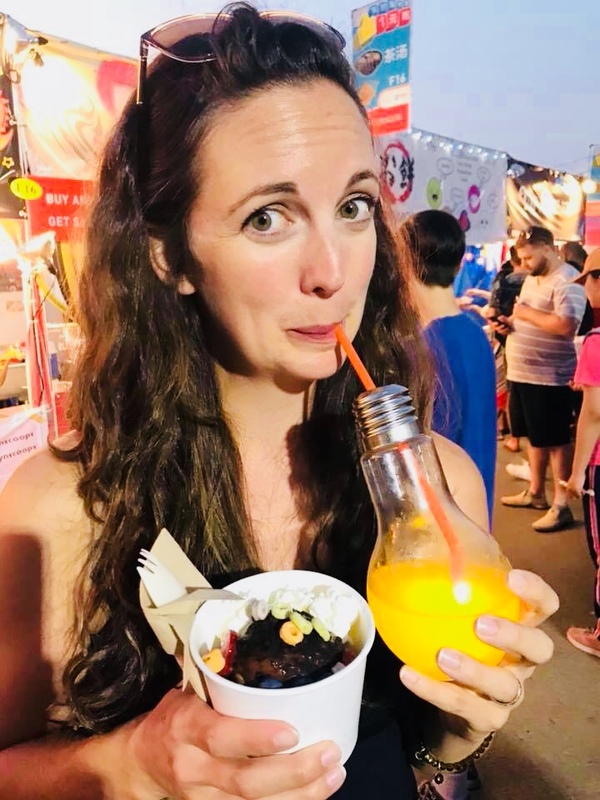 I’d recommend going on a Whistler Food Tour at the beginning of your trip, because you’ll definitely want to head back to the spots Philip’s pointed out along the way. Tours are $79 per person and run Tuesday-Sunday. They start at 10:30 am and last approximately three hours. You do just over one kilometre of gently paced walking, which is a perfect way to work up an appetite. 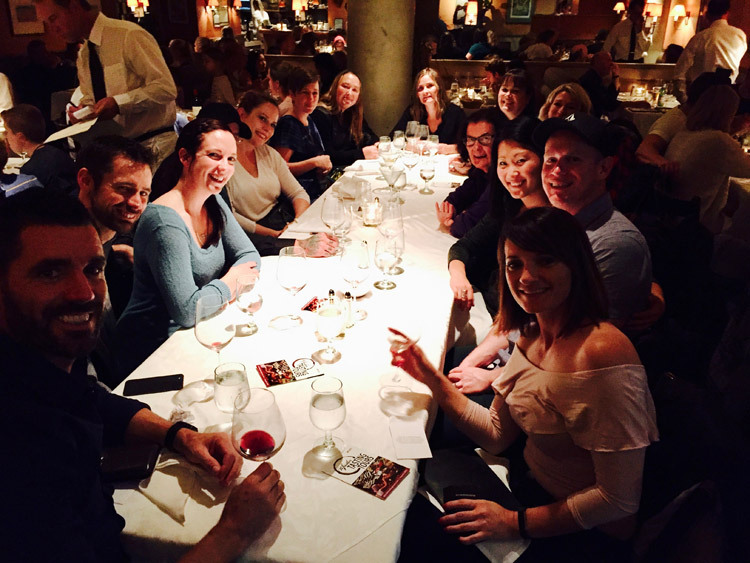 For more information and to book visit Whistler Food Tours. Fall time is food time and we’re practicing our snacking ahead of Cornucopia, our festival of food + drink coming up in November. 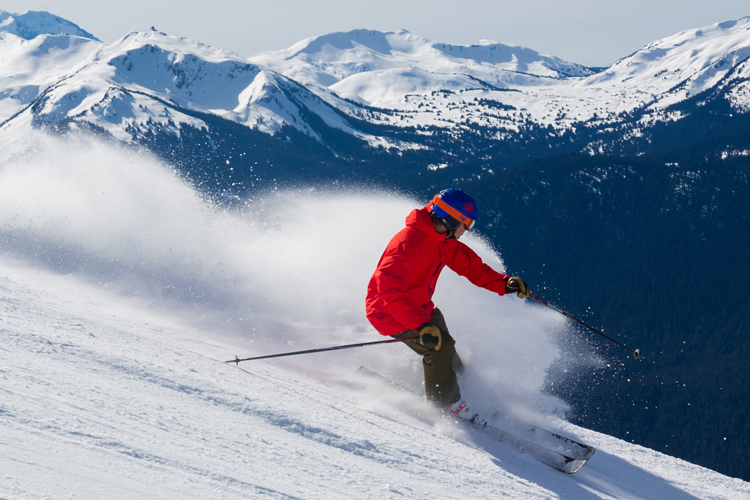 To plan a tasty trip to Whistler, head over to Whistler.com.